Trevor Burrell is a die hard sports fan who cheers on the Toronto Maple Leafs, Toronto Blue Jays and the University of Michigan when he’s not busy cheering on the Kitchener Rangers of the Ontario Hockey League. March Hockey: Where are you located and how did you get into hockey? 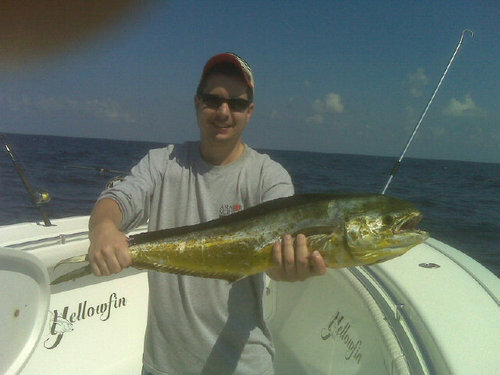 Trevor Burrell: I live in Waterloo ON. Had a backyard rink when I was 3-4 years old and have played and been a fan ever since. 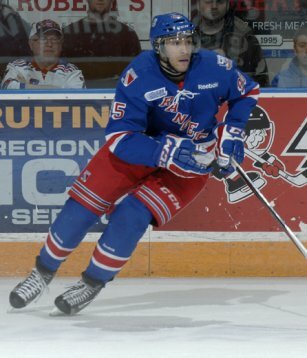 MH: What makes you a passionate fan of the Kitchener Rangers? TB: Went to my first Ranger game as a young kid and looked at the players as heroes. Would go with my dad, sister and friend every Friday night, wait for autographs and would play mini sticks between periods in the basement by the old souvenir store. As I got older 13-14 I was on my own to go with friends to games and would rarely miss any home games. I bought my season tickets for the first time in 1996 season and have had them ever since. As my age got older I got a car and have been to almost all of the rinks in the OHL following the team. MH: What’s your favourite Rangers moment? TB: Best Ranger moment was being in Quebec City to see the team with the Memorial Cup and the post game celebrations. MH: Who’s on player to look out for on the team and why? TB: Tough question to answer with this years team. So many new faces like Davies, Magyar, Macinnis and Greenfield to name a few. I look forward to all the new talent to see how they progress this season where the ice time will be given out base on who earns it. Think the obvious returning player choice would be Sabres pick Justin Bailey I think he will really have to be a leader in Kitchener in his 2nd season. I would also think Darby Llewellyn should get plenty of ice and could net 20 goals this season. MH: How do you think Kitchener’s upcoming season will play out? TB: I am not sure that it will be fantastic in the standings. Without seeing many of this years team play together at this point I would think getting in the playoffs would be a great accomplishment. Icing on the cake would be winning a round and making some noise. I think the team will have lots of young talent but could be a learn year. MH: Who’s your favourite hockey player of all time and why? 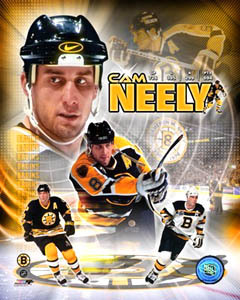 TB: Was a big Cam Neely fan as a kid, just loved how he could score, fight, hit, and be a leader. I have stuck with that trend with my favorite current players in former Rangers Mike Richards and David Clarkson. MH:What two teams would be in your dream hockey game? TB: If I am going just OHL based would say 2003 Rangers vs 2005 Knights with the Rangers pulling out a close tight game and Corey Perry and Rob Schremp crying on one anothers shoulders post game.